The VORTEX HORIZONTAL PROFILER 160 XP horizontal machining center with full 5-axis capabilities brings unmatched power, speed and accuracy to manufacturers processing medium and large aerospace parts. Featuring a 60-hp, 26,000-rpm HSK-A63 spindle, the machine cuts a wide range of challenging materials with ease. An optional 30,000-rpm spindle is available for shops that require even higher cutting speeds. The standard tool storage capacity for this machine is 30 tools, while an optional 60-tool magazine is also available for increased machining versatility. The machine has a large 157” x 49" vertically oriented worktable that accommodates a maximum load capacity of 6,615 pounds. It is also possible to position the worktable horizontally for quick, easy part loading and setup. 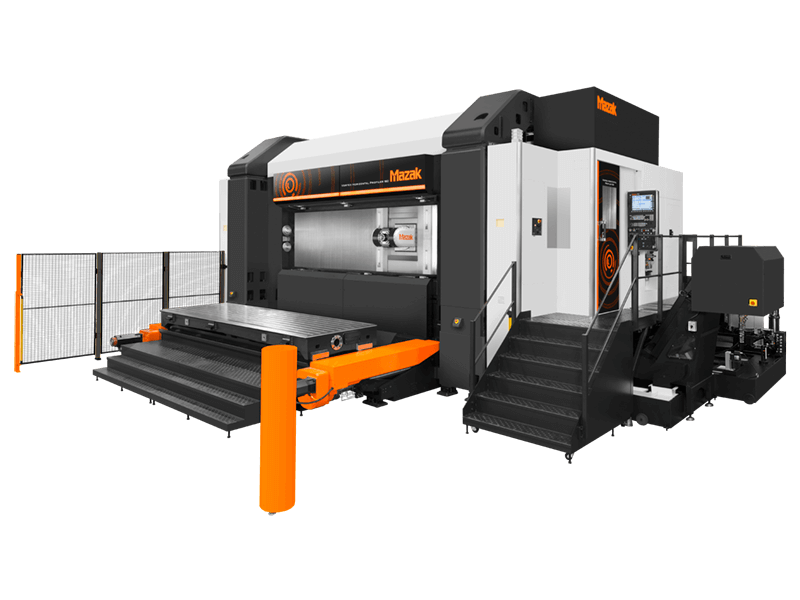 Symmetrical and rugged in construction, the machine's special box-type design integrates its base, column and table to ensure consistent, highly rigid cutting performance. An advanced coolant and chip disposal system further stabilizes the machine's cutting processes by minimizing heat displacement.